Back in June I had an amazing weekend trip to San Francisco, and though it was only short, we managed to cram in a lot (post on that coming soon!!). Having only gone for a few days I had to be mindful of how I packed, so I thought I’d create a basic guide with tips for efficient packing on short trips. Not basic like the urban dictionary description…no, this is something to help as a starting point. Best to keep in mind you definitely need to pack for the forecasted weather where you are headed, and what you plan on doing, but these tips should help guide you in the right direction. Limit how much you bring to a carry-on. 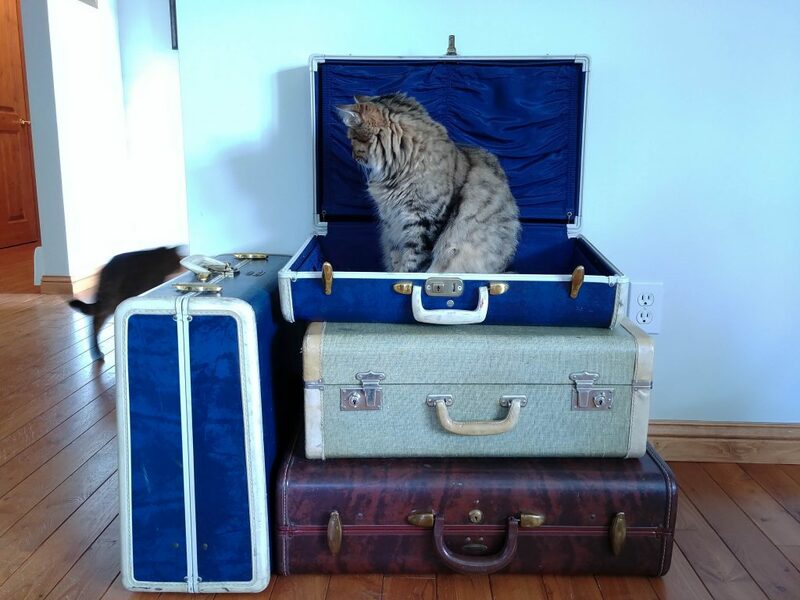 You’re only going for the weekend, there’s no need to check baggage. If your bag gets lost you may not get it for the entire weekend you are away. Learn how to pack light. If it’s summer, I tend to bring one pair of pants, one pair of shorts, one dress (cause you never know! ), a couple of shirts that go with the shorts AND pants, and a cardigan or sweater that I can pull over anything (think neutral colours). Bring one pair of sandals or shoes you can dress up or down and a pair of sneakers for walking. Try on all of your outfits before you go. Trying everything on will help narrow down on what clothes to bring, making for more room in your carry-on. Got a new shirt you want to bring, but haven’t worn yet? Do not assume it will look good with a certain pair of pants or shorts, I’ve made that mistake before. Always, always, always try on everything you are going to bring before leaving. Unless you don’t care what you look like, then just keep on doing your thang. Check off items as they are packed. We’ve all done it, gotten to our destination only to realize we’ve forgotten our razor or toothbrush. I don’t know about you, but I’d rather not spend time on my vacation trying to find a store to buy things I already own. Stick to the list you’ve created (or use mine!) and you’ll be all set. Take a fold-able bag in your carry on. You’re allowed one carry-on bag and a personal item which could be a purse, laptop case, or something of similar size, check the airline for exact measurements. If I’m going for a short trip, I usually bring a bag I got at Walmart that folds up really small, it’s a lovely shade of lime green and is kind of see through when filled, but it works. This bag I have fits the “personal item” criteria, so if I buy anything on my trip it all goes in there and I don’t have to check any bags on return either! Large freezer bags are your friends. Not environmentally friendly, but I’ve been using the same bags for years now, and once these finally break down I’ll invest in some cloth reusable packing bags. What do I use them for? Separating my clothing and vacuum sealing it to allow more room in my bag. I roll my clothes, which most people do anyway, then stuff them single layered in bags, kneel on them to extract any air and zipper them closed. You get more room, which means you can bring more stuff! Wear your bulkiest clothing on the plane. Jeans, sweaters, bulky coats and sneakers are usually what I wear on the plane ride. It’s not pretty, but really who cares? You’re traveling, you’re allowed to look weird and let’s not forget about air conditioning in airports, anyone who knows me can attest to my need to stay warm. This also means you can fit more in your carry-on, which is the most important thing, obviously. Make sure your carry-on has wheels or is worn on your back. This is a personal preference, but when I only bring a carry-on, my bag can get kind of heavy. I use a hiking day pack, which has a hip strap to take some of the load off my shoulders, or I use a rolling bag. This is especially important to me if I have a long wait in the airport or a far distance to travel between gates. A day pack also comes in handy for bringing along during day excursions to carry snacks, clothing, sunscreen or anything you buy along the way. Alright, that’s all for today! It definitely took some trial and error before I got what works for me down pat. Hope this is helpful, and if this is the kind of stuff you would like to see, be sure to let us know. Got any additional tips to share? Add them to the comments section, I’d love to hear them!